Can I drive on Xanax or prescribed drugs? - Answer from MyDuiAttorney. 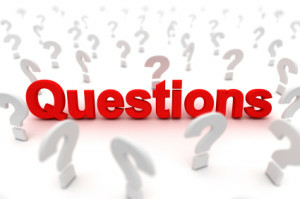 Home › Questions › Can I drive on Xanax or prescribed drugs? Prescribed medications and over-the-counter drugs have a wide-range of possible side-effects which can impair driving. Prior to taking any type of medication it is critical that you review the warnings included with the medication and talk to your doctor about the potential side-effects and the impact they may have on your ability to safely operate a vehicle. 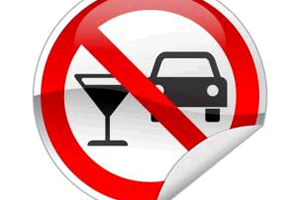 Many drivers assume that they cannot be charged with driving under the influence (DUI) if they have not consumed alcohol, but this is not true. In fact, drivers may be charged with DUI if the state has sufficient evidence they were unable to safely operate their motorized vehicle, regardless of the substance that has caused impairment. As mentioned above, prescription medications, including Xanax, can lower an individual’s ability to safely operate their motorized vehicle. Xanax is prescribed for the treatment of anxiety and panic disorder. Warnings concerning Xanax include the potential for drowsiness, dizziness, light-headedness, or blurred vision. The drug manufacturer also clearly states that individuals should not drive or operate machinery until they understand the effects the medication may have on them. The potentially dangerous side-effects can also be exacerbated by combining Xanax with alcohol or certain other medications. What should I do before driving if I am on medication? If you have started taking any type of medication it’s imperative that you discuss the potential side-effects with your doctor. If the medication has a negative effect on your driving you can discuss possible solutions with your doctor such as taking the medication when you do not to need to drive, adjusting the dosage, or changing to a new medication. If you find that you are unable to safely drive while taking a certain medication it’s critical that you find alternative transportation such as a bus, taxi service, subway, a friend or relative, or Uber. Failure to take the proper steps to ensure your safety and that of other drivers can be very costly and can lead to a DUI charge. What do I do if I am stopped for DUI for drug use? If you are stopped while under the influence of any medication you should avoid making any admissions. Remember, everything you say can be used against you. Drivers may be stopped for a variety of reasons, many of which are not related to drug use. Making an admission for drug use may result in a DUI charge when there may have been another reason the driver committed the driving infraction (i.e., they were texting, distracted by their kids, etc.). Remember, it is up to the state to prove that your prescription medication caused impairment, something which is much more difficult if you do not admit to taking medications. Additionally, some drugs will remain in your system for days after consumption and may have nothing to do with a poor driving decision. If police ask you questions there may be some which you are legally required to answer; others which you are not. Even before interrogations, however, it may be beneficial to simply say,"I am going to remain silent.” If you are arrested, detained, and interrogated you can say, "I am going to remain silent.” And add, “I want to see a lawyer." 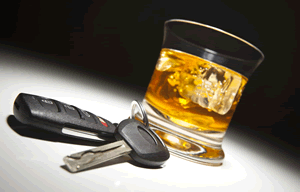 Next, talk to a DUI lawyer and find out how to defend against DUI charges.